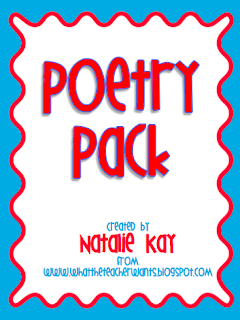 I am so excited about the new POETRY PACK I just created! I have a little secret, I have hated teaching poetry in the past. I personally love writing poetry, but it just seemed so hard to teach. Which poems do I teach about? How in-depth do I go? What do I expect students to produce at the end? It just seemed so confusing. 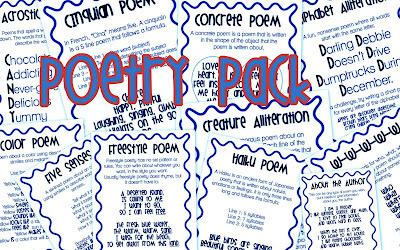 This pack also includes a half-sized blank book of poems for your students to create their own published book of poetry. This unit should last about 3 weeks. Teach one poem each day and have students work on their own original rough draft of the poem (11 days total). 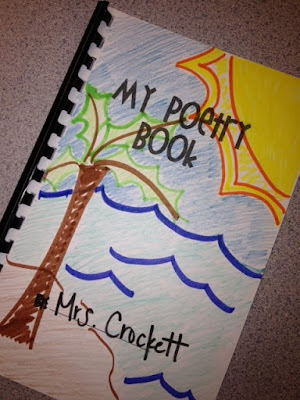 Save some days at the end so that all students can create their own published book of poems. Write a short poem about how much you love What the Teacher Wants and post it as a comment on this post. I will use random.org to pick 3 winners. Giveaway ends Sunday at 7 pm MTS. Winners will be announce on our facebook page. Can you come see me?